5% of each purchase will be donated to help fund service dog training for children in need! Throughout this past year, we have shared over 500 stories of how dogs have helped comfort women around the world through cancer, depression, sexual assault, a difficult divorce, illness, infertility, suicidal thoughts or the loss of a loved one. It has been an honor and a privilege to share your stories and we are deeply appreciative of all of your courage to share so openly. The Puppy Mama community has proven that canine therapy should be taken seriously as a therapy for a variety of illnesses and that the special love of a furiend can help one through the darkest times. That is why we are thrilled to have found 4 Paws for Ability - an incredible organization to support. 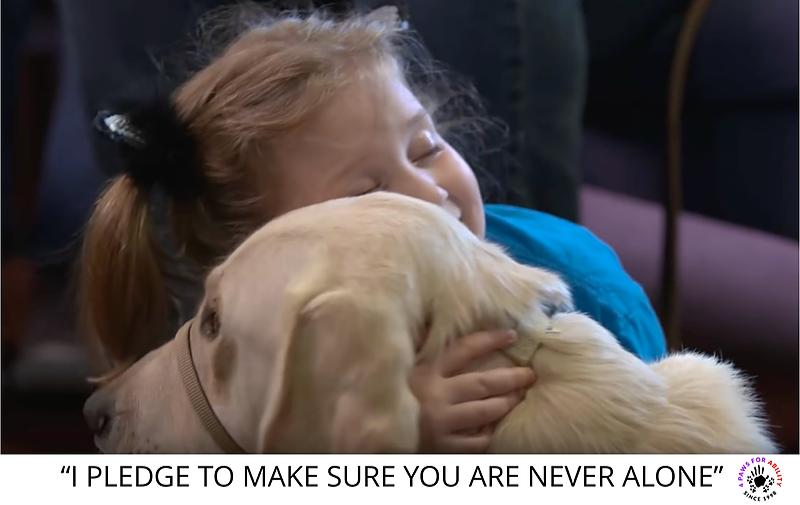 By training service dogs to help children suffering with seizures, autism, diabetes, mobility limitations and other illnesses, amazing things happen for the children and their families. The following short video explains how Franco, a 4 Paws For Ability trained service dog, is helping save seizure prone Emma. It will absolutely warm your hearts! 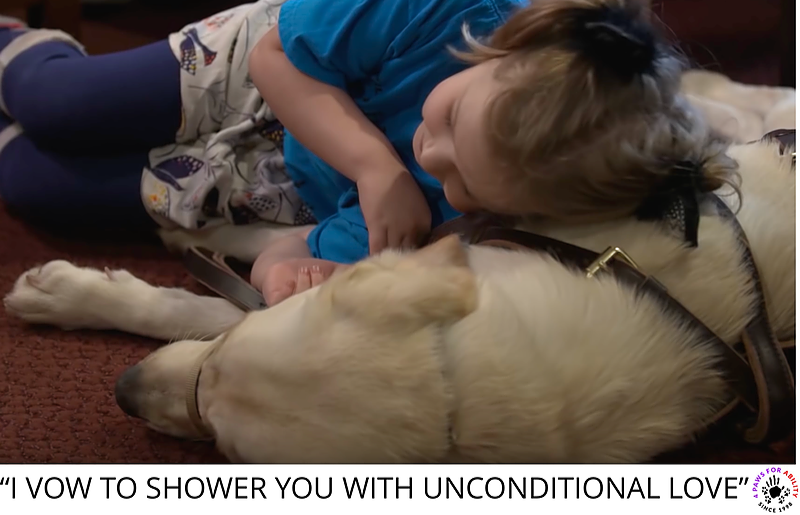 Service dogs also help the entire family! Can you imagine having to wake up every 30 minutes in the middle of each night to ensure that your child didn't have a seizure?!? This is just one example of many that demonstrates the reality of raising a child with certain illnesses and disabilities. When a child suffers, the entire family does, as well. 4 Paws for Ability are training service dogs to empower the entire family so that they can also live life joyfully.